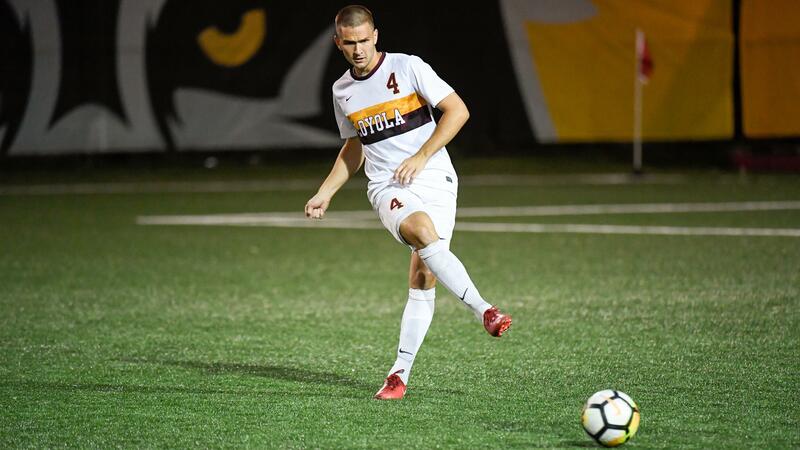 LANSING, Mich. – Lansing Ignite FC announced today the addition of Loyola University Chicago standout and three-time First Team All-Missouri Valley Conference selection Grant Stoneman, pending league and federation approval. 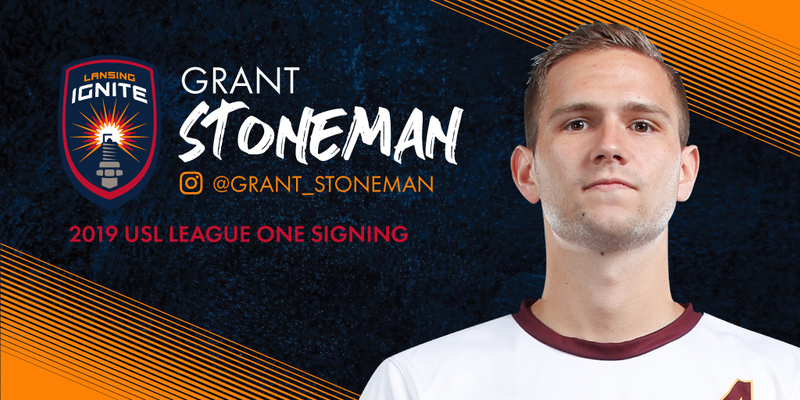 Selected 55thin the 2019 Major League Soccer SuperDraft by the Chicago Fire on Jan. 14, Stoneman has excelled on the field with the Ramblers, with Lansing United in 2016 and in USL League Two (formerly the Premier Development League) with the Michigan Bucks in 2017 and Chicago FC United from 2017-18. The 6-foot-1 defender scored seven goals and recorded one assist in 53 appearances for the Ramblers from 2016-18, earning First Team All-Missouri Valley Conference honors each year while being named Missouri Valley Conference Defensive Player of the Year after a stellar season in 2018. In the summer of 2018, Stoneman played a major part in leading Chicago FC United to the League Two Central Conference title and the League Two North American Semifinals. In total, the defender made 21 appearances for the Chicago-based club. LIFC starts its League One campaign against the Richmond Kickers in Richmond, Virginia, on March 30 and against Greenville Triumph SC in Greenville, South Carolina, on April 6. The team then returns home to prepare for its week-long, home-opening celebration. LIFC will hold a celebration in downtown Lansing ahead of the team’s first League One match at Cooley Law School Stadium against the Kickers on April 13, and the celebration of soccer in the Michigan capital will continue three days later with the Capital Cup. For more information on Ignite FC, visit www.lansingignite.com or follow the team on Twitter, Facebook and Instagram.